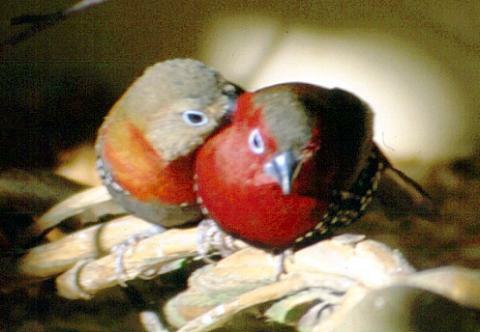 Peters's Twinspot (Hypargos niveoguttatus) is a common species of bird found in sub-saharan Africa. This species has a large range, with an estimated global extent of occurrence of 2,000,000 km². It is commonly seen in Angola, Burundi, The Democratic Republic of the Congo, Kenya, Malawi, Mozambique, Namibia, Rwanda, Somalia, South Africa, Tanzania, Zambia & Zimbabwe. The status of the species is evaluated as Least Concern.